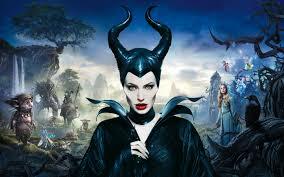 Maleficent is the evil fairy who put the sleeping spell on Sleeping Beauty. But what if she were not evil? Or rather, what if she became evil because she was betrayed horribly by the human she loved? What then, hey? Angelina Jolie plays the fairy in this alternative telling of the fairy tale, and Elle Fanning is the princess. And it’s not bad – it is certainly stunning to watch, but it didn’t ring my bell. Of recent fairy tale based viewing, there are far better. This is just a bit… well, boring, actually.